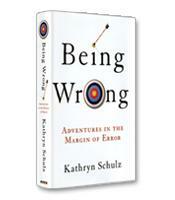 In Being Wrong, journalist Kathryn Schulz explores why we find it so gratifying to be right and so maddening to be mistaken, and how this attitude toward error corrodes our relationships — whether between family members, business colleagues, neighbors, or nations. 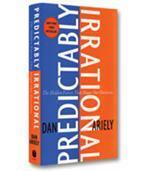 We love to be right, but we hate to be wrong. We all make mistakes, so why is it so hard to admit when we are wrong? In her first book, Being Wrong, journalist Kathryn Schulz digs deep into the roots of this question and unearths some fascinating insights into the ways we think as well as the ways we view our own wrongness. Along the way, she opens up a wriggling can of worms that contains many slippery topics, including truth, self-esteem, love, stability, conformity with a group and even our own identities. Thankfully, her seasoned skills as a world-class journalist help her develop some meaningful revelations about all of these things while presenting a fruitful discussion of our humanity and the ways we can improve our thinking. For example, how do we maintain a relationship even though we disagree with another person on some very fundamental levels? Borrowing some advice from relationship guru Harville Hendrix, Schulz explains that we need to learn to differentiate ourselves better, stop being so reactive, become more curious, ask the other person questions and listen to the answers. There really is more than one side to every story, she points out, and denying the possibility that we are wrong is no way to maintain positive relationships. Instead of insisting that we are right, she adds, we can keep our friends, loved ones and business partners around by "relinquishing" our pervasive "attachment to rightness." The stories Schulz relates throughout Being Wrong support her intelligent insights into the universal nature of being wrong. They also help us find more creative solutions when we find ourselves on the wrong side of a battle to be right. For example, to shed light on the power of communication to overcome deeply engrained beliefs, Schulz tells the story of North Carolina Ku Klux Klansman C. P. Ellis. She explains how his transformation from a racist leader to a crusader for the rights of African-American women depicts the powerful effects of challenging our rightness, opening up to the viewpoints of others and admitting our mistakes. Schulz breaks down the philosophical questions surrounding the history of wrongness and the fallibility of human thinking into three parts: the idea of error, the origins of error and the experience of error. During her exploration of each of these subjects, she helps readers understand the complexity of our feelings about being wrong and the moral choices we make. She also connects our inability to admit mistakes to optimism and hope, and shows us how we often get things wrong because of our confidence in ourselves. When we learn to admit that we are wrong, she writes, we are demonstrating our faith in ourselves to "get it right the next time." Through her in-depth research and interpretations of what she has found, Schulz reveals many important discoveries about truth, belief and who we are. For example, she writes that "our mistakes disturb us in part because they call into question not just our confidence in a single belief, but our confidence in the entire act of believing." Filled with fascinating stories from a wide variety of sources and thinkers, such as Benjamin Franklin, Alan Greenspan, Sigmund Freud and Gertrude Stein, Being Wrong explores the reasons why it is often hard to admit when we are wrong, and how we can develop better ways to cope with our wrongness. We all make mistakes, but Schulz points out that a mistake is also a gift. By showing us how others have made mistakes, learned from them and emerged as better people, she offers an eye-opening perspective on a universal phenomenon that can help us improve our work and our lives.